Create storage space for your bathroom essentials by adding the Croydex Easy Fit Shower Riser Rail Basket. It uses an easy to fit clip on system and is more secure than most hook on shower baskets. No drilling is required and is easy to remove. Fits most round shower riser rails with a diameter between 19 and 25mm. Please note: Riser rail not included. 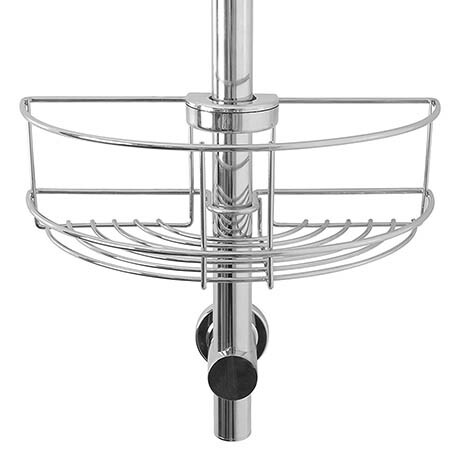 "The Croydex shower riser rail basket,looks really stylish in my new shower. I am very happy with it." Does what we needed. If there is a caution then it's the depth as it can get in the way if using the hand held shower but it's not a problem.